In applications where the reliability and performance of electrical connectors are critical, such as gas tight barriers or high-pressure differentials, hermetic connectors are essential to maintain system integrity. 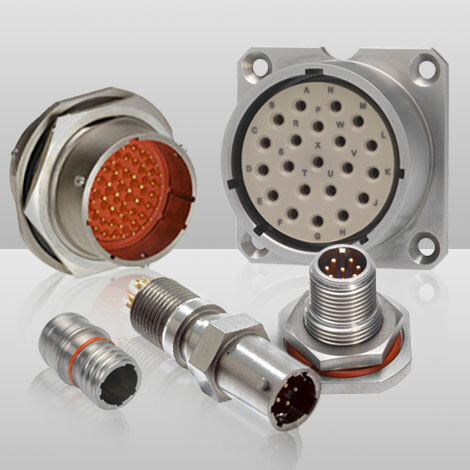 Martec’s hermetic connectors are designed and manufactured to meet the most stringent requirements for aerospace, automotive, marine, medical and offshore applications (including military standards: MIL-DTL and ESC 10). Martec is a ‘concept to supply’ company providing custom designs to match existing or specialist mounting requirements, often providing alternative solutions to conventional connectors, particularly where space is a problem, with value engineering to optimise functionality. These connectors are miniature threaded, hermetically sealed connectors that are designed to meet and succeed the mechanical and environmental requirements IEC-61076-2-101 with fixed pin connects, fused into a glass dielectric insert. These connectors are available with eyelets, solder bucket and/or pcb contacts.